We can be so inundated with causes and statistics and pleas to “work for change” that we begin to tune out important messages. I get it. And I’m guilty of it. The internet is a noisy place. Some of the volume is just time-wasting distractions of little consequence. But there are certain areas where the volume needs to be turned up louder. Violence against women is one of those areas. As many as 1 in 4 women experience physical and/or sexual violence during pregnancy which increases the likelihood of having a miscarriage, stillbirth and abortion. Women and girls comprise 80% of the estimated 800,000 people trafficked annually, with the majority (79%) trafficked for sexual exploitation. Approximately 100 to 140 million girls and women in the world have experience female genital mutilation/cutting. These numbers are so big, so hard to comprehend, and usually feel so far removed from our every-day lives that it’s easy to brush over them, shake our heads *tsk*, mumble under our breath how horrible it all is, and then move on. But what about those 60 million child brides? What if just one of them was your flesh and blood sister or your daughter – just a scared little girl, not physically or emotionally ready to bear the child she’ll likely be pregnant with within the year? What about the hundreds of thousands of women raped as a tactic of war? If you knew just one of them how would your stomach turn for the evil of it all and how consumed might you become with finding her a safe place and a hope for a better future? Let. Me. Say. That. Again. Cancer + Malaria + Traffic Accidents + War combined are not as big a threat to women as the possibility of suffering under physical or sexual violence. This is happening in refugee camps and in schools, in the workplace and in homes. This is happening in villages and in skyscrapers. This is happening at the hands of husbands and strangers, “friends” and fathers. Violence toward women is said to be the most pervasive human rights violation today. There are no easy answers, but we have to start by recognizing that this is an epidemic and it’s not okay to keep looking away. For those of you that have time and want to learn more, I want to share the following video with you by AlJazeera News called 101 East: Battered and Bruised in Papua New Guinea. It’s a compelling 25-minute report highlighting domestic violence in PNG where 2 out of 3 women have experienced physical abuse. Culturally, it’s considered acceptable in this patriarchal, tribal setting where even polygamy is prevalent. And although PNG is among the worst statistically for violence against women worldwide, these types of issues are unfortunately not isolated. 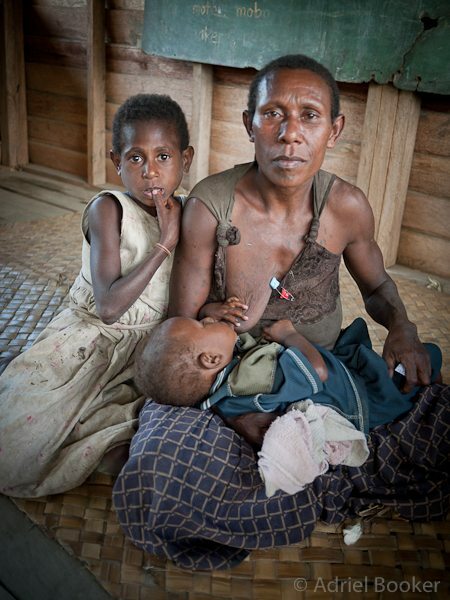 In places like PNG, age-old belief systems dictate these heart-breaking views on women, and they will not be changed overnight. But friends, this is the sort of thing worthy of our attention, our prayer, and our voice. Obviously there are many, many more organizations working for change in this area. If you work with one or would like to recommend one, please do so in the comments. More importantly, will you pray with me for our sisters who are suffering? p.s. 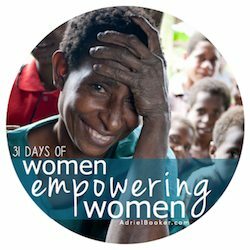 This post is part of 31 Days of Women Empowering Women, as well as part of a larger movement of writers all over the world joining in with The Nester in writing everyday for the month of October. See hundreds of incredible #31Days projects here. Sobering and saddening statistics. I see the headlines of the horrors against women in war torn and third world countries but see little about the happenings in the seemingly peaceful neighborhoods right around the corner. Thank you for reminding us and educating us. I will be praying with you for God’s beloved who are suffering everywhere. I do think that’s a problem Mindy – when hearing of things far away we distance ourselves and find it easy to disengage, and yet when it’s “too close” it feels too personal and we also tend to disengage… or we don’t even talk about it in the first place. Overall there just needs to be more awareness (and more compassion) when it comes to making room for the conversations to happen and the needs to be made known. It’s a tricky one though – no one likes to sit around and talk about depressing stuff all the time, right?! And nor should we! Praying with you. One of the charities we have been involved with is the Polaris Project, and locally through a center called Grace Haven. (Gracehaven.me). One by one we can help by being a helper. love that you’re involved on a local level nessa. if you don’t mind sharing, what inspired you to get involved like that? What a heartbreaking yet eye-opening post! This really is so sad…to think these poor girls grow up knowing these statistics and to imagine that they almost need to accept the probability that any of these violent acts could happen to them. I think of my own daughter and can’t even imagine what the moms go through on a day to day basis!!! Thank you for posting this and reminding us all once again how predominant this problem is around the world! Well l knew the problem of violence against women was a large problem, but l had no idea that the statistic were anywhere near what you have quote. To think 22 x Indian women killed “Each Day” in 2007 as a direct result of dowry weddings….. the stats on child brides is also a mind blowing statistic… Living in Australia, that represents more than double our entire population.. So it is once again a massive number and a massive problem. We all have the right to lead full lives in happiness, it is so sad to hear that many people across the world are missing out on the most basic of human rights so many of us take for granted. Keep posting and praying, hopefully things will change sooner than later…. God knows they need to! yes, it drives those numbers home when you think in terms of our entire population doubling. very sobering.